It's not quite time to ditch the trench coat but Spring is definitely in the air. To celebrate these extra daylight hours & the long Easter weekend we are offering 15% off the full 1834 Collection with the promo code TREAT at checkout. New 1834 Tweed & Tartans have LANDED! Uniting the skill of two Scottish artisans, the Tweed & Tartans of the new 1834s are woven from natural wool fibres by a family company with a 200 year history. 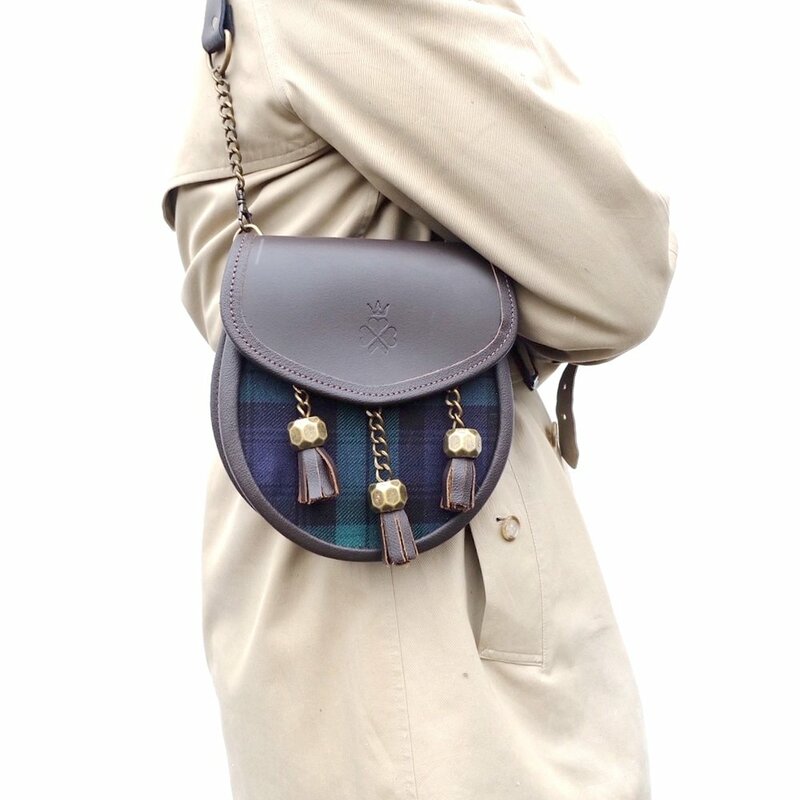 Traditional sporran makers then cut & craft the fabric with leather to create each bag. Fusing time-honoured craftsmanship & contemporary design, the 1834 celebrates the very best of British. Elvis Presley had THREE tartans designed in his name. Astronaut Alan Bean, took a piece of family tartan to the moon on the 1969 Apollo 12 mission. As the biggest importer of Outer Hebridean Tweed, Japan has also had several tartans dedicated to it. Hello Kitty even has her very own tartan! A National & International Treasure. For the full and article and list of winners, click here.